Hawaiʻi Island police are asking for the public’s assistance in providing the whereabouts of a 51-year old male wanted for an outstanding bench warrant. 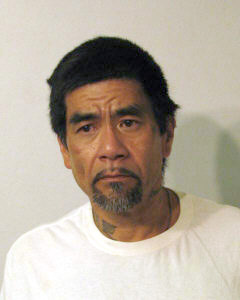 This individual has no permanent address but frequents the Glenwood area in the Puna District. Derek Seichi Agcalon, 51-year-old male described as 5-feet-9-inches, 180 pounds, brown eyes and black hair. Police ask anyone with information on this individuals to call Officer Kenneth Ishii at the Pahoa Police Station number 965-2716 or the Police Department’s non-emergency line at 935-3311.